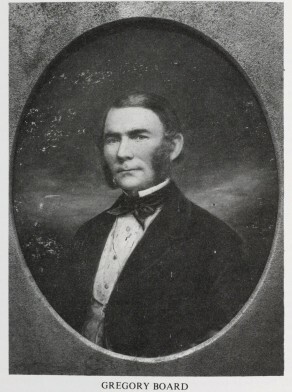 Gregory Board was born on 19 May 1809 in Sydney, the son of William and Elizabeth Board. His parents were both convicts, being sentenced to death (commuted to life imprisonment) for counterfeiting at the Old Bailey in February 1805. 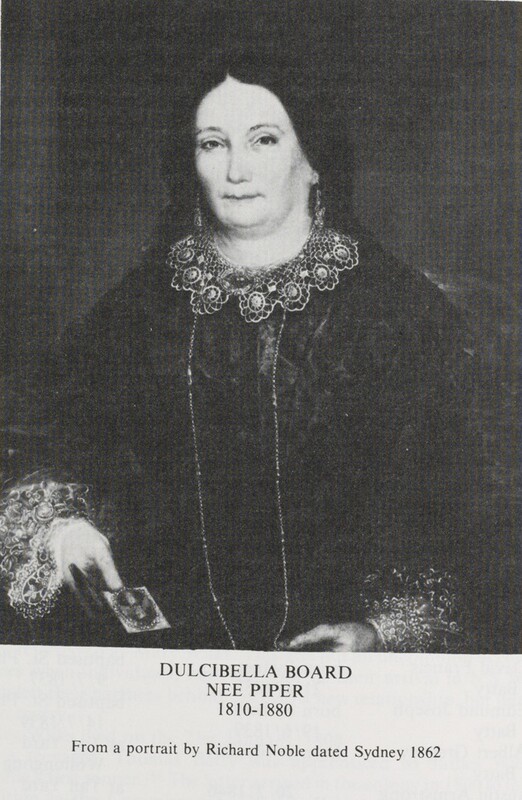 Gregory Board’s wife Dulcibella, third daughter of Francis Piper and Sarah Woods, whom he married on 20 December 1830, was also of convict background. Francis Piper and his brother Edward arrived in Sydney on the transport Minorca on 14 December 1801. Gregory and Dulcibella Board had nine children. She died on 28 November 1880 and he died of senile decay at Sydney on 24 February 1888. Gregory Board’s father William was transported on the Fortune, arriving in Sydney on 12 July 1806. His mother Elizabeth had arrived in the transport William Pitt on 11 April 1806. His parents were granted conditional pardons in January 1816. William Board obtained a liquor licence in 1817, transferring it two years later to William Hodges, a convict transported on the Royal Admiral in 1800. William Board’s daughter Harriet married William Hodges in 1825 and she introduced her young brother Gregory to the hotel trade. In 1826, William Hodges held the licence for the Blue Lion in Kent Street. When Hodges moved to the Printer’s Arms, Gregory Board took over the Blue Lion Hotel, acquiring the licence on 1 July 1831. He held this license until 1849 although the hotel’s address changed to Sussex Street and later the corner of Market and Clarence Streets. In 1840, Board also acquired the license to the Printer’s Arms. By 1841, he had erected a handsome stone building at the Patent Slip in Sussex Street. On their marriage, Dulcibella Piper’s father had given them property in Market Street where they lived for 20 years. 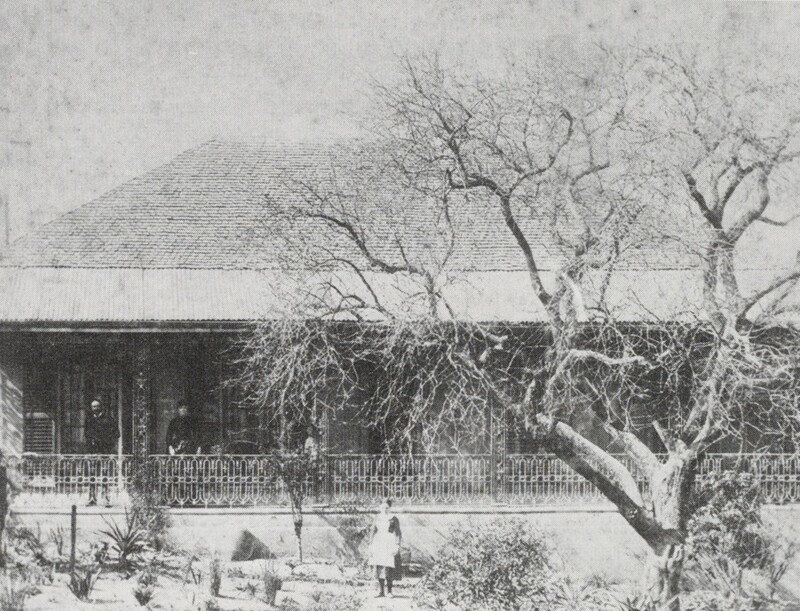 In 1849, they retired to Napoleon Cottage on the corner of Goulburn and Brisbane Streets. At his death, Gregory Board left a substantial estate including 39 properties to be divided between his seven surviving children. In October 1842, Gregory Board was a signatory to a letter of support for John Little as a candidate for Brisbane Ward in the first Sydney City Council elections. In 1847, he was himself elected Councillor for Brisbane Ward, serving from 1 November 1847 to 31 October 1851.